State and local officials break ground Friday on nine-unit affordable housing development. 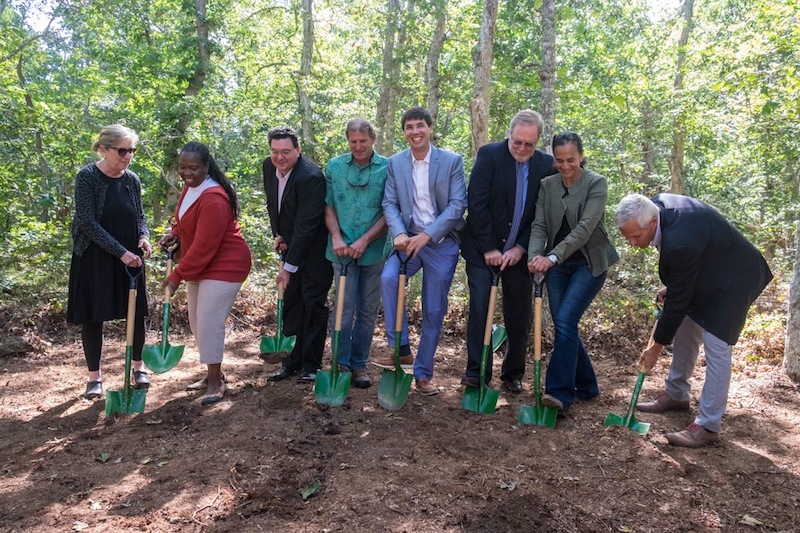 State and Island officials broke ground Friday afternoon at Scott’s Grove, a housing project that will bring nine affordable rental apartments to West Tisbury. The project, zoned under the town’s higher density zoning law, will consist of two clusters of buildings with one, two, and three-bedroom apartments. It will be built on town-owned land next to the Manter Field and the fire station off the Edgartown-West Tisbury Road. Financing for the $2.9 million project to date includes $1.4 million in Community Preservation Act funding, a $900,000 grant from the state agency MassHousing and the state Department of Housing and Community Development. Fundraising is ongoing. The developer is the nonprofit Island Housing Trust. 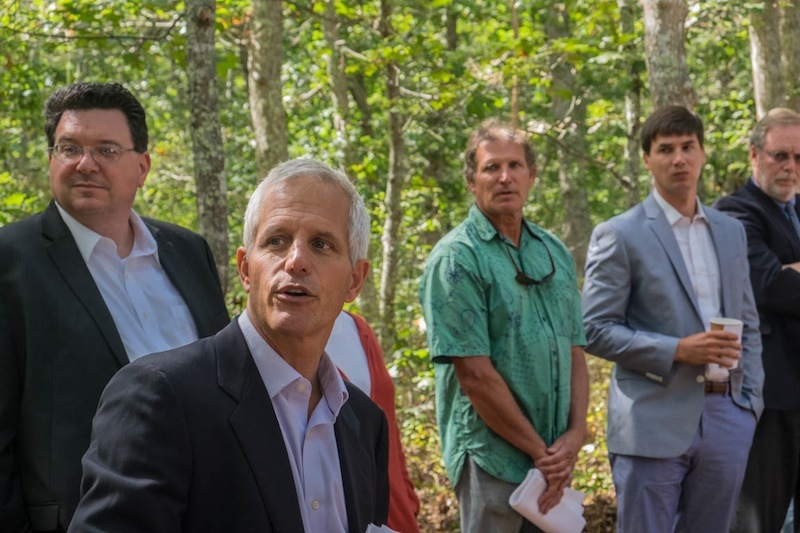 Larry Schubert, chairman of the West Tisbury affordable housing committee, said Scott’s Grove took four years of hard work. “Our community is going to be a more vibrant, more stable, more healthy place to live,” he said. 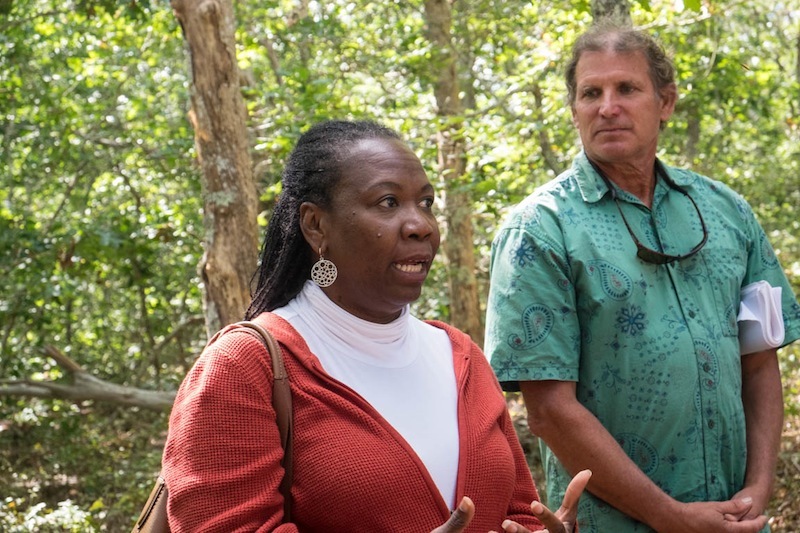 Also on hand Friday were state Rep. Dylan Fernandes, Tim Sullivan, executive director of MassHousing, and Chrystal Kornegay, undersecretary for the Massachusetts Department of Housing and Community Development. “One of the things that was really important to us was to make sure that we were doing things at the scale and at the places where people wanted them,” Ms. Kornegay said. West Tisbury, the youngest town on the Island, was created on April 28, 1892.